Listen to the inspirational story of how Tara Eisenhard rose above the naysayers to achieve a fair divorce that worked for her. 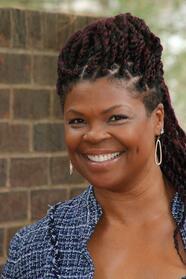 Tara is a coach, mediator, and author of the book, The D-Word, Divorce Through a Child's Eyes. She is both a child of a "good divorce", is divorced and newly remarried, and brings hope and guidance to those going through divorce. Tara Eisenhard helps struggling singles overcome shame and frustration so they can find peace and create a life they love. She’s a child of divorced parents, an ex-wife, a “next” wife and the previous partner of a divorced dad. Personal experience taught her that divorce is about evolution, not dissolution. 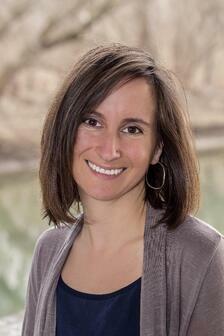 Tara works as an author, coach and mediatorwith a passion for healthy and happy divorces. She’s the author of the book The D-Word: Divorce Through a Child’s Eyes and the blog, Relative Evolutions. She currently writes for DivorceForce and is a professional member of the Divorceify Network. Tara’s writing has been featured by The Huffington Post, Divorcedmoms.com, Family Affaires, Divorced Women Online, Stepmom Magazine and MariaShriver.com. In her community, Tara offers divorce-related support and educational events. She is a member of Big Brothers Big Sisters of the Capital Region as well as the Pennsylvania Council of Mediators, where she is Chairperson of the Communications Committee. Tara donates time as a Classroom Volunteer and Symposium Mentor for Junior Achievement of South Central PA. She is also a volunteer mediator and Board Vice President of Neighborhood Dispute Settlement in Harrisburg. Pamela Elaine is an author, speaker, and producer. She is also the mother of four children who, like many mothers, put the wants and needs of others first and ignored her own. As a result, her marriage came to a screeching halt. Determined to bounce back strong from divorce, she learned the key characteristics of a resilient woman, practiced them, and now teaches them to other women. Pamela Elaine is our Client Experience Consultant and Intake Specialist. In her new book, Muddy High Heels: 14 Lessons Learned from My Breakdown, Breakup & Breakthrough, she writes about how to overcome barriers that hold women back from their physical, emotional, spiritual and financial beauty. Pamela Elaine is President of her business, Destined for Greatness Enterprises, Inc. She has appeared on several radio and news spots to promote health and well-being for women, including The Dr. Oz Show where she shared her story of building her business as a healthy way to bounce back from divorce. Follow her on Facebook @SuccessfulDivorcedMoms and Twitter @urresilientlife.